Lenovo's Moto has just announced its newest flagship smartphone – the Moto Z2 Force. As expected, it's the one device to succeed both the Moto Z and Z Force from last year. As such, it fits somewhere between the two in terms of thickness and battery capacity; the happy medium, if you will. There's nothing that interesting in the Z2 Force specs, aside from the updated chipset (Snapdragon 835) and camera system (dual 12MP snappers). From time immemorial, geeks and nerds around the world have been dreaming about the times when we'd be able to augment and enhance the capabilities of our smartphones through the concept of modularity: nifty add-ons that would enable us to easily (and cheaply) replace stuff like the camera, battery, processors, or other components of our handsets. If you've ever researched custom-built desktop PCs, it's basically the same idea. 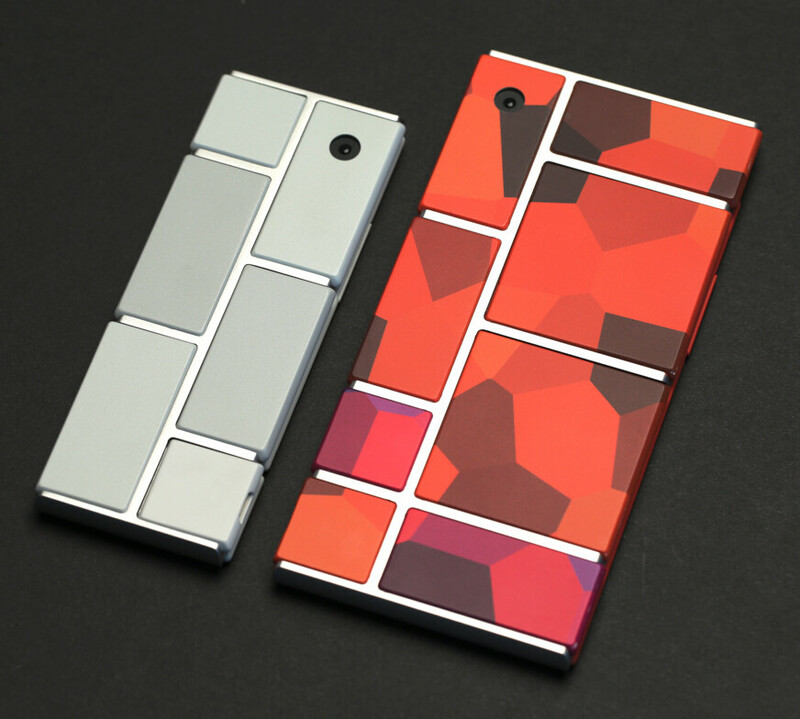 Project Ara is Google's failed modular phone effort. The thing is, the modern smartphone world is a place so different, most of us knew this concept would never work here ever since the first couple of attempts at marketing a "modular phone" were made. Outside of Motorola, the most recent efforts in the area were LG's ill-fated G5, and Google's never-to-actually-launch Project Ara. What most fans of the modular phones idea refused to get even when Project Ara was still considered to be 'in development', was that it was supposed to be a cheap product for developing markets, not the "ultimate smartphone" to replace your iPhone or Galaxy. In other words, it was never meant to be a really great product. Let's start with the most obvious drawback: the Moto Mods are quite the investment! Aside from the Style Mods ($20 - $30), which are only meant to alter your phone's appearance and are probably the best value of all mods, the functionality-driven ones get way more expensive than that, very quickly. There are a couple of battery mods, which costs around $80 to $100, and then there are the Hasselblad Zoom camera mod at the prohibitive $300, the Insta-share portable projector mod, also at $300, and now the newest addition – a 360-degree camera mod, again selling for $300. Obviously, these mods are not meant to let you enhance your device and keep it current for a small investment – they are niche devices catering to very specific types of users, and don't come cheap at all. As such, the mass market appeal in these products is very limited from the start. Hi there, I ruin your phone and cost $300! Not only are the mods very expensive and lacking general usefulness, these things are also quite bulky! While smartphone designers are hard at work trying to slim bezels down and make handsets slimmer and lighter so they are easier to carry around and less tiring to use, Moto wants you to buy one, or two, or three additional chunks of tech that are actually bigger and heavier than a phone. And what's the use in buying multiple mods for your smartphone, if you'll be having to debate whether or not to bother taking them along as you hit the road? Moto has been able to keep Moto Mods compatibility in tact across its Z smartphones for a while, but we're probably reaching a point where sticking with the same physical footprint, design aesthetics and hardware layout will start working against Moto's ability to compete with other phone manufacturers. In reality, Moto's Z smartphones are already unable to compete with the market leaders (iPhone, Galaxy S) in terms of aesthetics, and with those guys successfully pushing the envelope every year, the gap between them and Moto's aging design is growing wider by the day. Z Force vs Z2 Force. Pretty similar, huh? They have to be, if they want to be compatible with Mods. All other phones already support better mods! Samsung's Gear 360 is more practical, capable, cheaper, and works with any modern smartphone. And after going through all the drawbacks of the Moto Mods concept, maybe it's time to put the final nail in the coffin by saying that you can actually already get all the Moto Mod functionality on any other phone through accessories like battery cases, external batteries, add-on camera lenses, Bluetooth speakers, game pads, and what not. As a matter of fact, doing so will probably be cheaper and produce better results, compared to Moto's proprietary and limited modules, because accessory makers have been working for years to come up with a vast ecosystem of products. At the end of the day, if someone's willing to buy a $300 360 Camera Moto Mod for their $700 Moto Z2 smartphone, for a total investment of $1000, hey, nobody can stop them! However, we'd much rather just get a Samsung Gear 360 camera for $230 and use it with a recent Galaxy or iPhone. Where's the value in Moto's unique offer? It's a doomed concept because it doesn't have the right backing from an influential force like Apple. If it was Apple i bet you the Mods will still have a longer life line. Of course it would, because of the sheer influence of Apple, but it's still not a healthy concept, which is why Apple won't do it. He is one of the most biased reviewer and a die-hard Apple fan, so everything that doesn't have a fruit logo on its back is a failure for him. Well, at least he is now willing to acknowledge Apple's success is based on their "influence". But, he's still on the "if it's bad, Apple won't do it" fallacy. First, Apple has never said they wouldn't do mods. So, unless he is authorized to speak for Apple, I'm not sure of his credibility. Second, Apple has played PA writers in the past who have suggested that if Apple doesn't do it, it's because it's useless. Refer to keyboard covers, widgets, file managers, etc. PA also said that Apple would never do inductive wireless charging because it's not useful. Now, this very writer (in a weak effort to backtrack) somehow says that when Apple does it, it will be "effortless", in spite of the fact that it will be implemented in a standardized way approved by a consortium of companies to which Apple is a member. What could make a writer say such a thing? Influence. They will never say they made a mistake, they just conform and change the talking point to "well, Apple will implement it better". This is the closest thing I can get to a high end phone with a landscape slider keyboard. I doubt this will ever be a popular concept, but I do think that there is a small niche market for this phone. I totally agree with the last point you made. Bluetooth "Mods" are an idea that's 10x better. Even if they are bluetooth. They need power, plus a lot of Moto mods share their power with the smartphone. Not to mention if you need to transfer large amounts of data to the smartphone, then Bluetooth is not it. I am not saying Bluetooth doesn't have it's place. But what I am saying is Bluetooth can't solve everything. Also the pinouts on the back break out USB transfer speeds to the mods of need be. True about the data sending. But the battery? These Moto z phones don't have reasonable batteries to power anything without seriously draining the phone. Absolutely not ideal. Still a worthwhile phone to purchase if for no other reason than the shattershield screen. Like Ray said : it's not healthy concept. To take away essential and sell it as MOD is way too optimistic . For instance battery, camera mod. The race of the thinest phone is over. Time and again China OEM doesn't have the right grasp about Western mentality, market . Mods, at least should expand the horizon of possibilities be practical but not at the price of essentials. It's not a doomed concept depending on the implementation and leverage with the target audience. A company like RED has enough economically advantaged followers to buy into the modular concept they're introducing next year, with what seems like a full conception of the modularity. Mods are pretty damn nice in limited areas. They take away to much from the phone to lead people to buy them though. Motorola won't build any trust by ditching the concept and the customers that bought into it. It doesn't hurt anything to continue and it's a nicely designed phone so they should continue to support it. They could have had more screen in the same package which was a poor choice but other than that they should continue with the concept. Modular concept is amazing. No one else is working on it and it's fantastic approach. I've had a z since they first came out. I completely love my phone. the battery mod keeps it going all day then when I go out after work the battery mod comes off for a thinner, lighter phone and it still goes on for the rest of the nite. The projector is perfect for hanging out where you cant bring a tv or large screen monitor (camping, my friends cabin) I've used it a lot. Don't get me started on the speaker mod. I don't have the camera. but $300 for a camera, let alone one that integrates with your phone isn't bad or at least average. I'd love to have a mod that would take the place of my keyless entry fob for my car so I didn't have to carry it around on my key chain. Its huge. I love this phone.